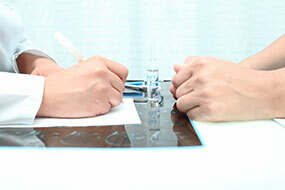 ASCRO is the trade association and forum for Clinical Research Organizations active in Sweden. Our mission and interest in standardizing trade practices in clinical studies benefitting patients, customers, agencies and CROs alike. Founded in 2011 we have grown to represent a significant number of companies and professionals engaged in planning, conducting and reporting clinical trials. ASCRO is an associated member to LIF since 2017 and collaborate with LIF on all areas of common interest. Partner with different levels of government, national agencies, academia and key actors in the pharmaceutical-, biotech- and medical technology industry to improve the conditions for the planning, conduct and reporting of clinical research in Sweden. Promote and foster the development, access and use of common principles and standards for partnering with CRO’s, and best practices in effective recruitment of investigators and patients/subjects into clinical trials. Acts as an independent interest group and voice for CROs active in Sweden working to strengthen the role of the CRO as a key research entity in Sweden. Serve as a facilitator and a means for dialogue between its members and stakeholders in the life science echo system. 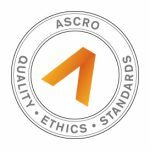 Raise the profile of consultancy in clinical research ensuring ASCRO and its members are associated with a minimum required level of quality of its services, and for employing market leading business ethics.